This is my newest pattern! 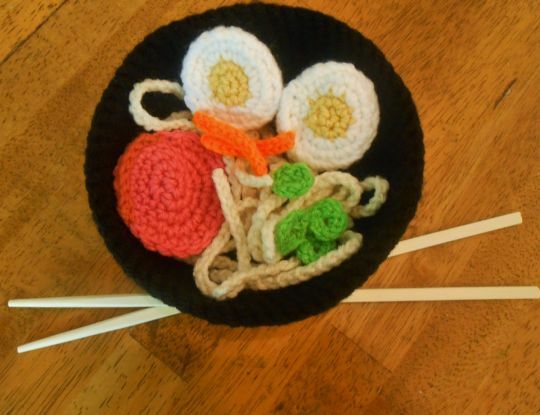 It includes ham, eggs, green onions, carrots, and of course noodles! The bowl is big enough for all of it to fit right inside! It looks so yummy and it is now available in my Craftsy store. This is also the first crochet pattern available in my Etsy shop! Visit either link below to check this pattern out. Thanks everyone!